responsibility of state governments and local governments. water and other impure substances. without adequate water supply and sanitation coverage. 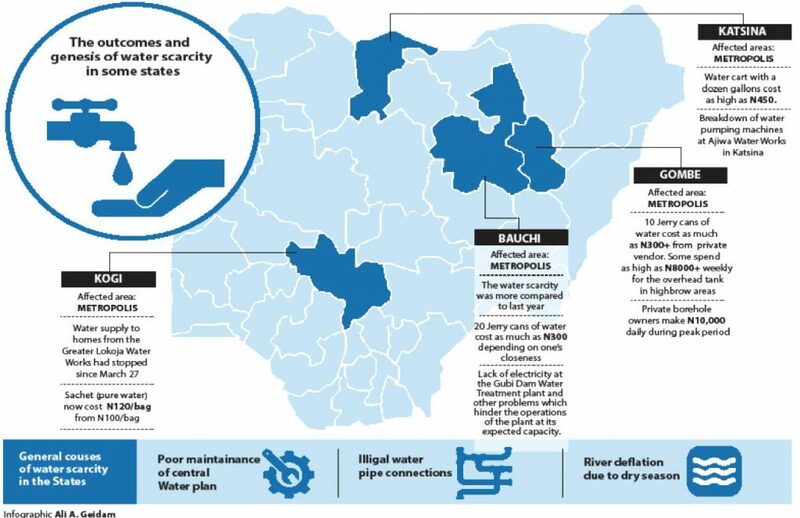 water resources by the federal and the 36 state governments annually. million including five per cent VAT. perennial water scarcity in the area. that the supply has ceased for the past one month.